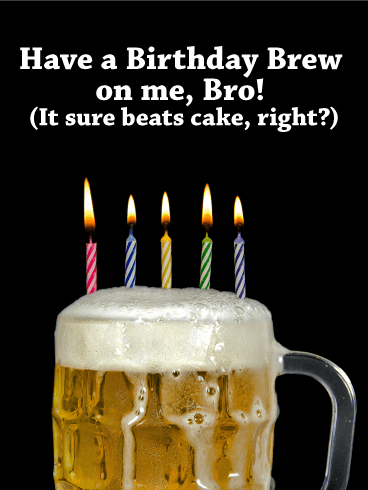 The only thing more fun than drinking beer is drinking it out of a celebratory glass! 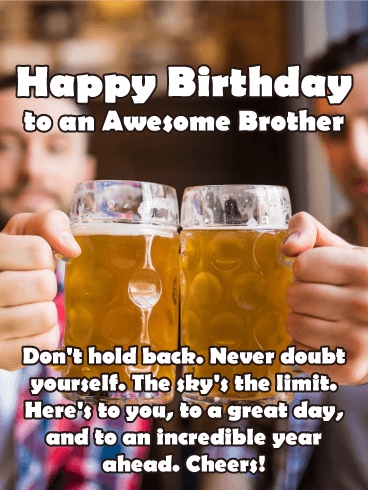 This is the perfect birthday card to say "Cheers" to your brother on his birthday. 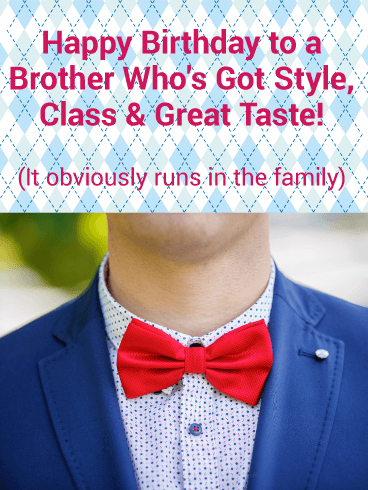 The colors are captivating, and the sentiment is sweet without being over-the-top! 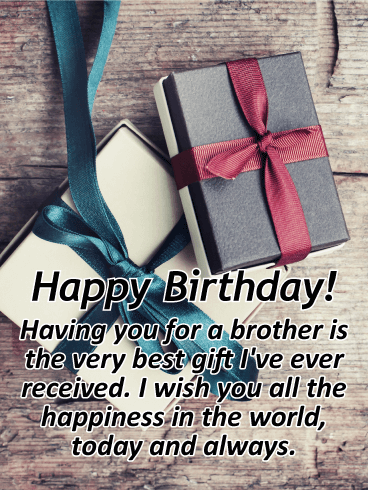 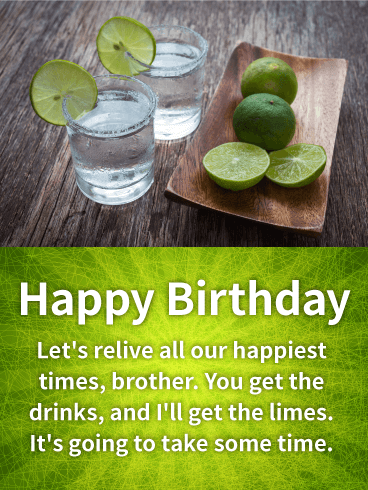 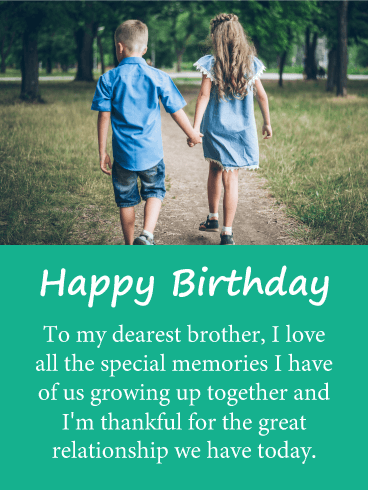 You share a special bond with your brother, so on his birthday, let him know you're thinking of him and wishing him well with this heartfelt birthday card. 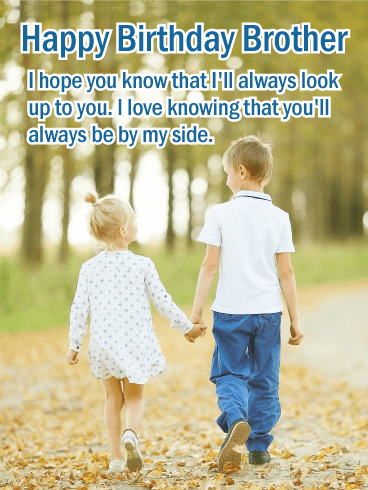 The image of a brother and sister walking hand in hand is a wonderful way to remind him that no matter how old you get, you'll always look up to him and be by his side. 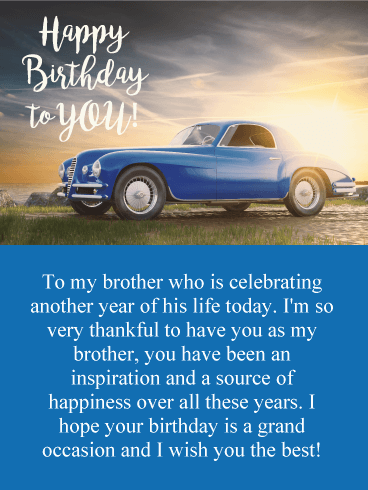 What a wonderful way to celebrate him on his special day. 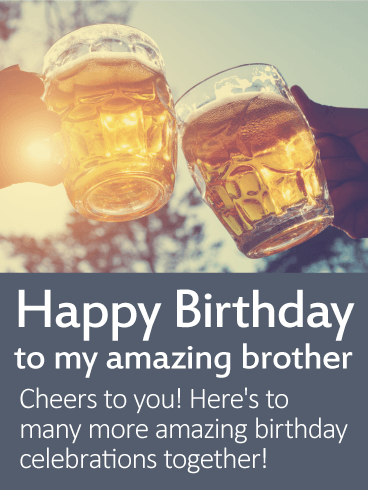 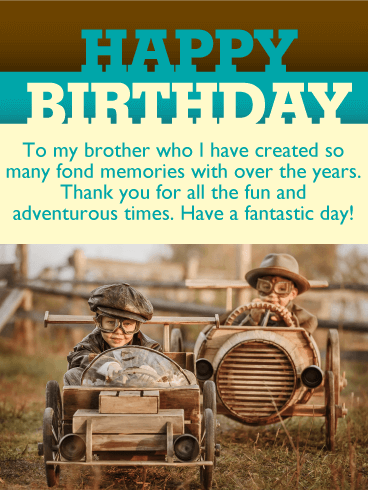 You and your brother have shared so much over the years, and even if time or distance have made it hard to see each other as often as you'd like, his birthday is a great time to remind him what he means to you with this special birthday card. 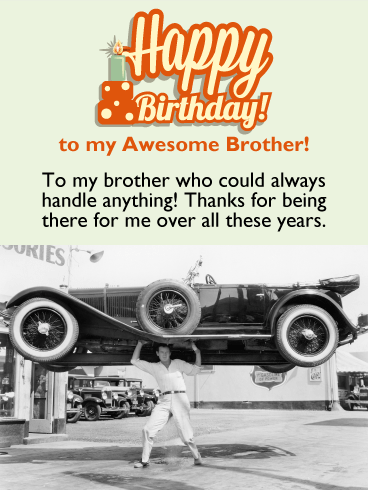 Two young brothers have their arms locked around one another, a symbol of the unbreakable bond you share. 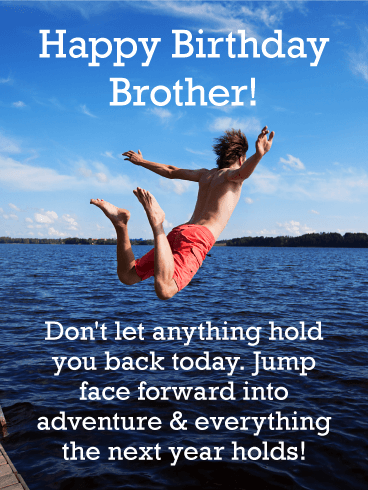 The words above will let him know that you're always there for him, no matter where life takes you. 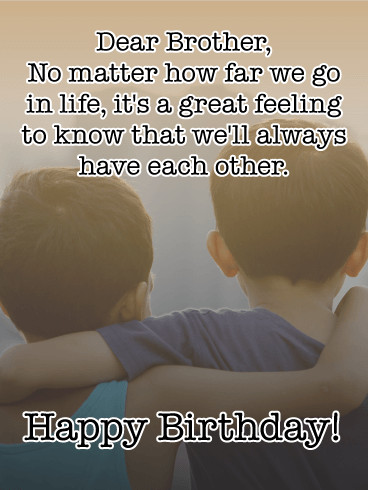 Birthdays call for reaching out to the special people in our lives to let them know we're wishing them well. 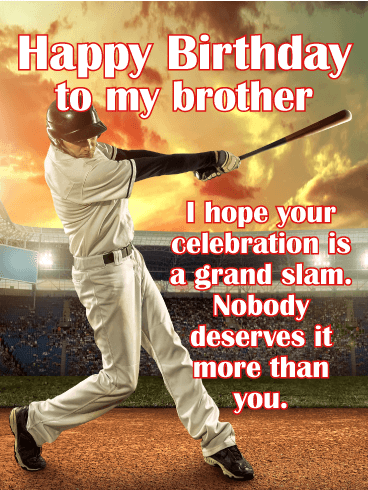 This sports-themed birthday card shows a baseball player swinging for the fences, the perfect way to celebrate your brother as he turns another year older and to let him know that you hope every part of his big day is a grand slam because nobody deserves it more! 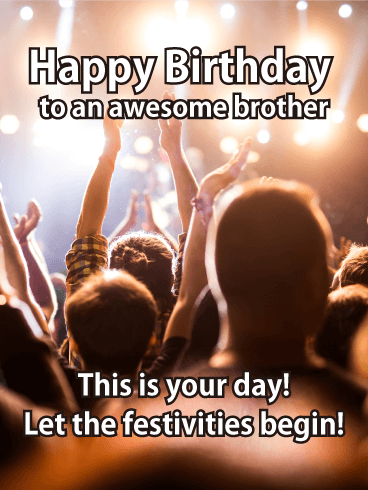 The excitement is building for your brother's birthday. 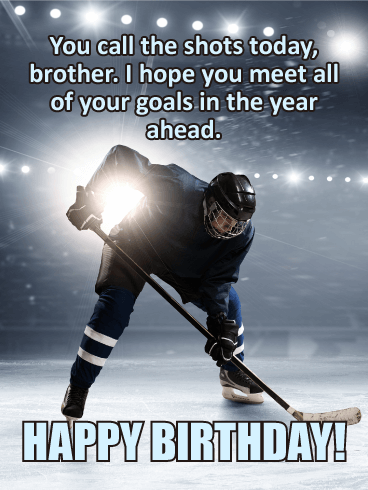 And you've got one shot to make it amazing with this cool, hockey-themed birthday card! 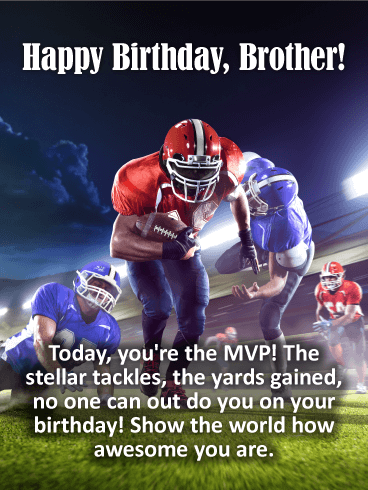 Whether he's a sports fan or just appreciates feeling like a winner on his big day, this greeting is a great way to wish him an unforgettable celebration while hoping all of his wishes come true in the year ahead. 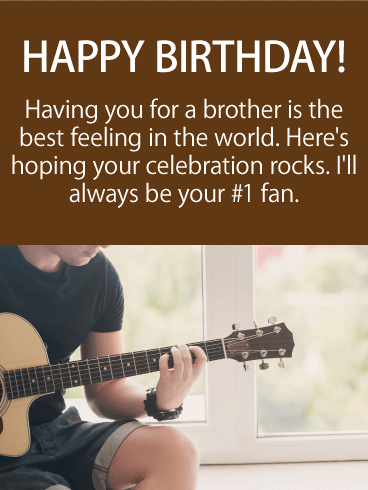 However your brother spends his birthday, make sure it rocks with this thoughtful birthday card to someone who means everything to you. 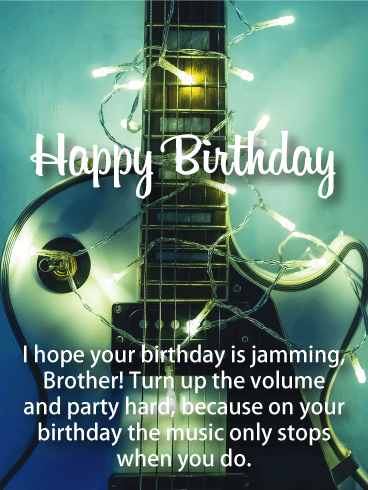 With guitar in hand, the guy in this birthday card is happy to take sometime for himself to do what he enjoys most. 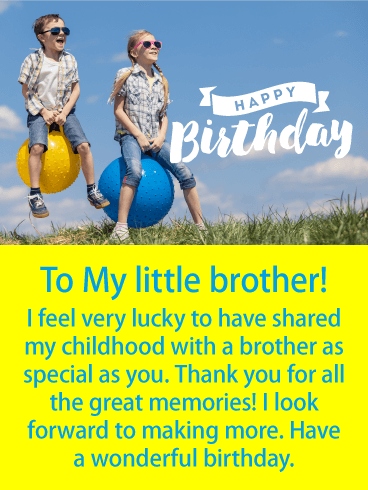 Just like your brother will be happy to know you took the time to remember him and let him know that you think he's the best. 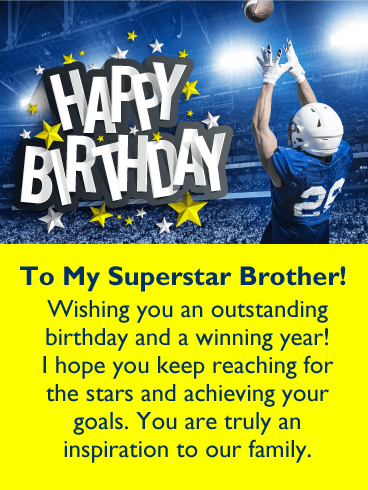 After all, you are his #1 fan! 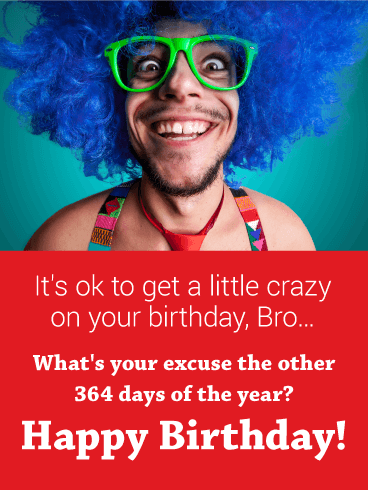 Birthdays are an exciting time for everyone. 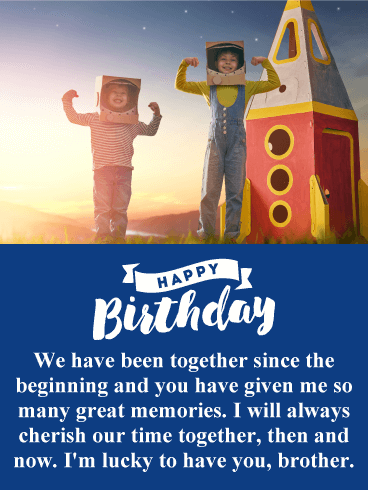 It's a chance to look back at what we've accomplished in the past year and look forward to all the new adventures that lie ahead. 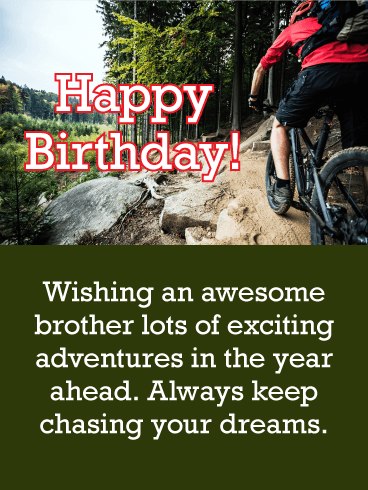 Make it the best celebration for your brother with this inspiring card that will remind him to always keep chasing his dreams, while letting him know you're supporting him every step of the way. 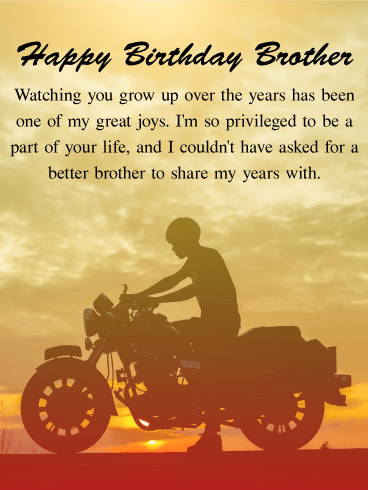 A rich wooden background and glowing lights add a warm, festive touch to this special birthday card for a brother who means so much. 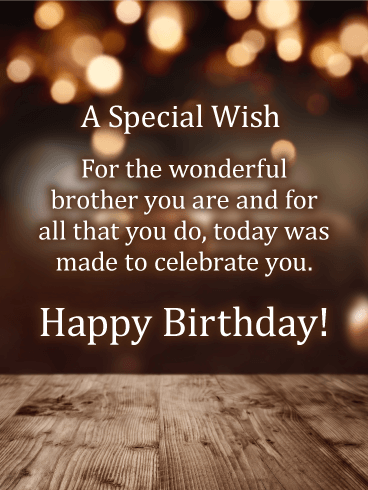 He's someone who you look up to for the person he is and all the amazing things he does, and for that, you want to wish him the very best celebration possible and happiness in the year ahead. 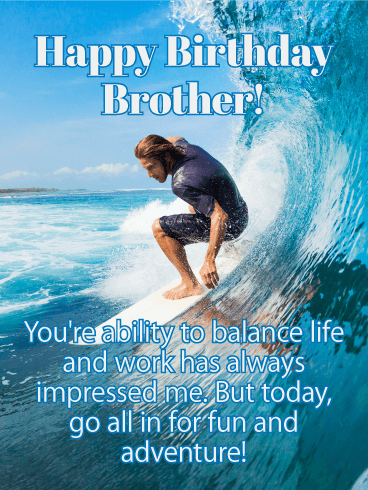 Some brothers prefer sushi. 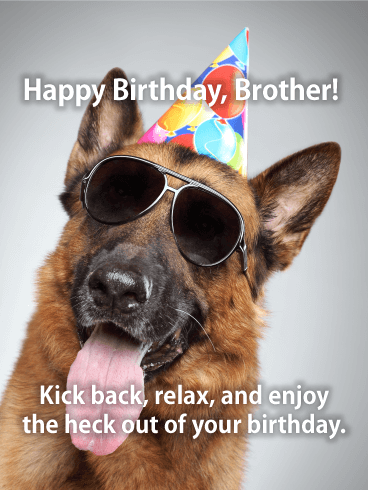 Some brothers prefer cake. 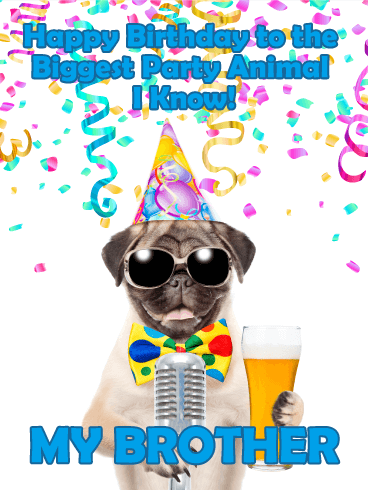 But one thing is certain: if there's a candle on it, it's a party! 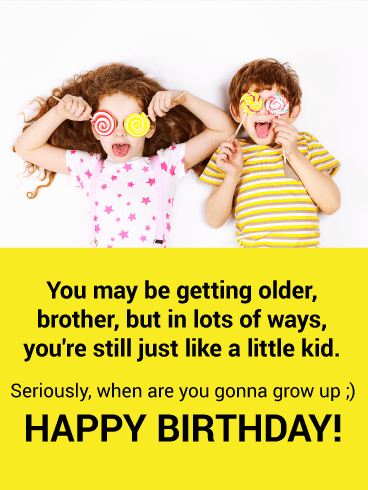 We hope your brother's birthday is as unique as he is! 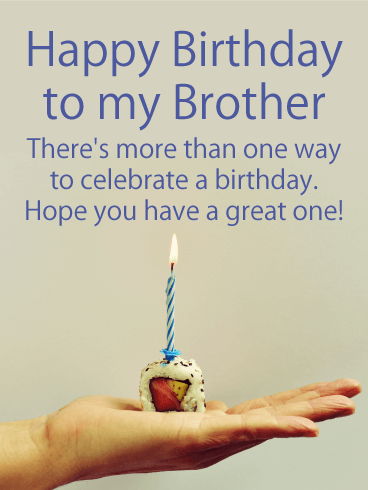 Send this fun birthday card to a sushi-loving brother today. 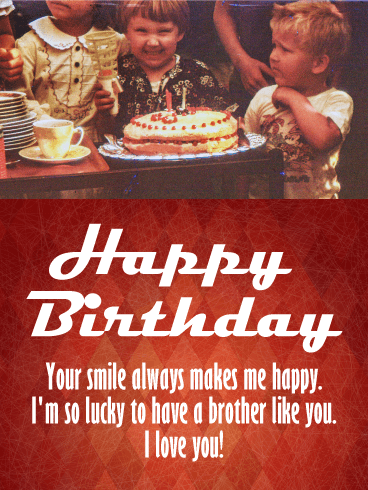 Make his day extra special when you send him this tasty salmon roll card that will make his mouth water. 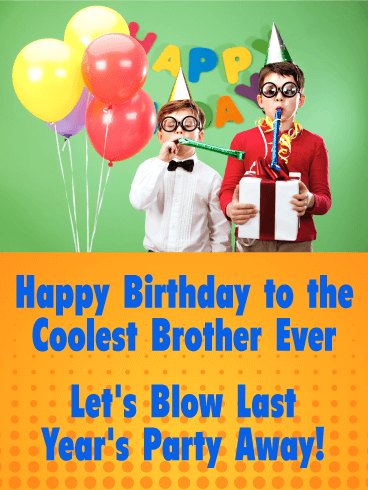 Need a great way to wish your brother a happy birthday? 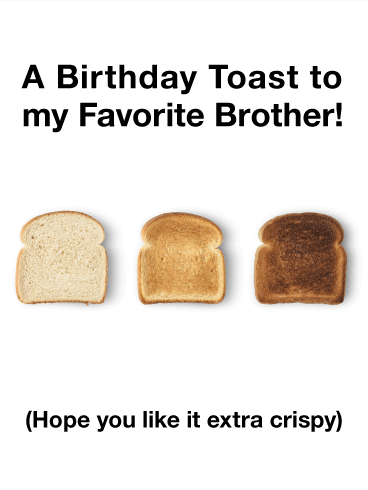 Just add sprinkles! 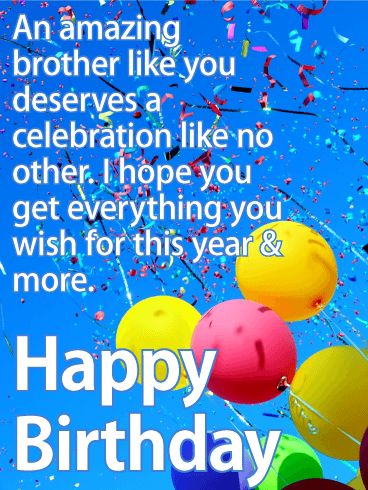 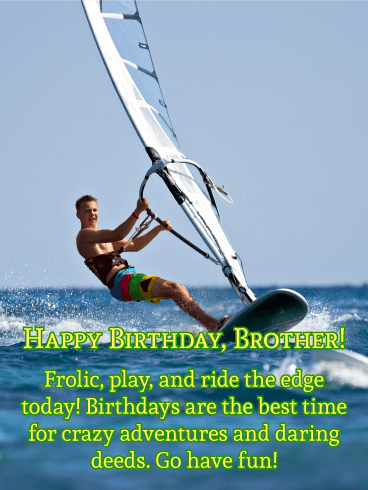 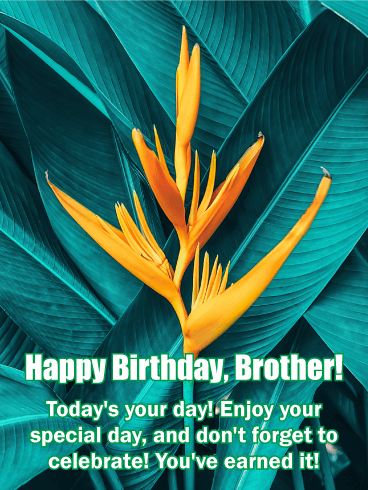 Send this colorful birthday greeting card to your fun-loving brother today. 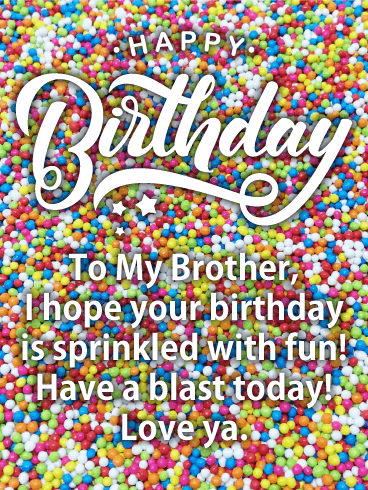 Satisfy his sweet tooth with a birthday card of confectionery bliss. 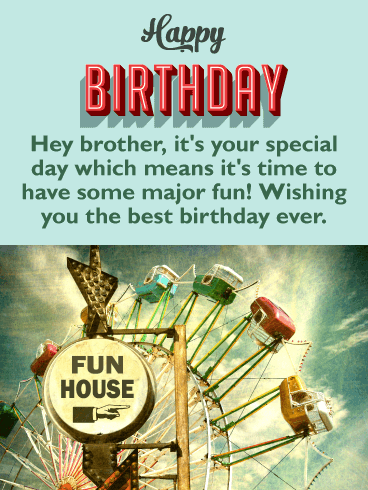 It's fast, easy and fun to send birthday cards with perfect messages for any occasion. 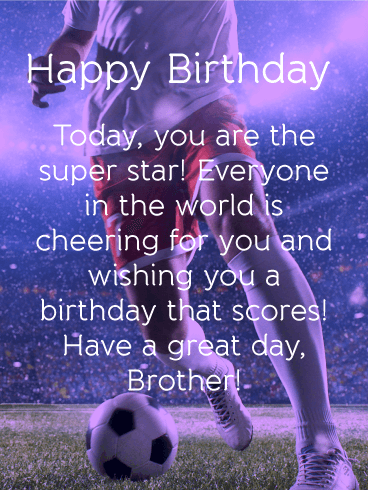 But on your brother's special day, this birthday card can't be beat.